Seeking a better life, Oscar Ramirez and his family decide to move from the poverty-stricken rice fields of the Northern Philippine mountain ranges and journey towards the capital mega city of Metro Manila. Upon arriving in the big city, it isn’t long before they fall foul to various city inhabitants whose manipulative ways are a daily part of city survival. Oscar lands a job as a driver for an armored truck company and is befriended by Ong, his senior officer. It soon becomes apparent that Ong has been waiting for the arrival of someone just like Oscar for some time. A few simple acts of kindness from Ong place Oscar in his debt; a debt that leads to blackmail as Ong forces Oscar to help him in a robbery of the company they both work for. I caught the trailer before watching the movie and the fact that there wasn’t any conversation /soundbites in the trailer, actually caught my attention. I was expecting a action-packed thriller, but this is more of a crime drama. With 99% of the film in Tagalog (Philippines national language), I didn’t have trouble understanding the film. 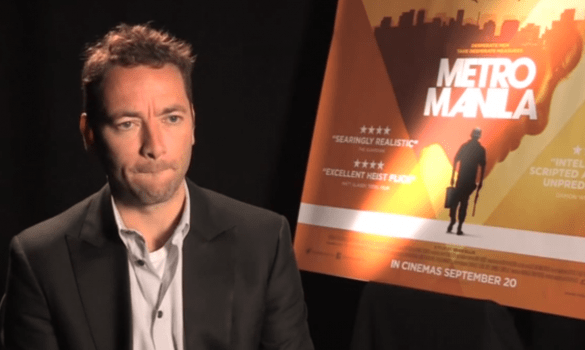 It is an intense film, and the reason for the tension changed throughout the film. 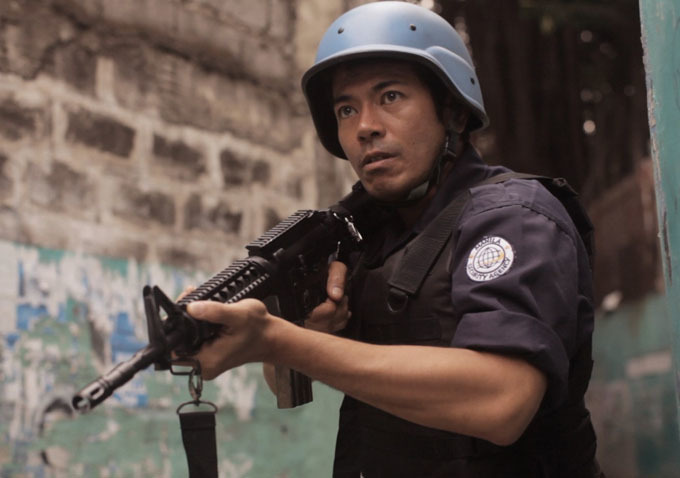 From poverty, to trying to make lives meet, to being trapped to do something against his wishes, Oscar (Jake Macapagal) was able to grip the audience’s heart with his powerful narrative and impressive performances. 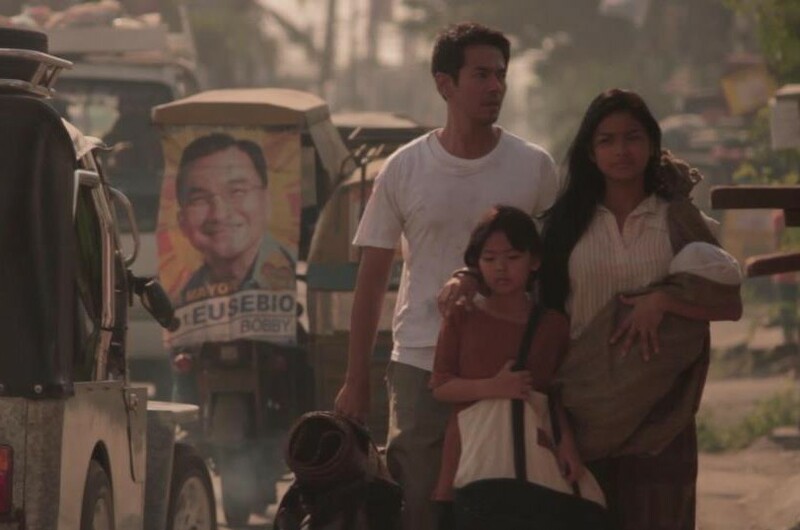 Not without faults, initially, I got a little giddy from the swaying of the scenes, which was exactly how Oscar Ramirez and his family felt went they moved from the rural areas to the bustling city of Manila. I felt lost (when watching the film), and this was exactly how Oscar or even his daughter felt, a tiny dot in the crowd, not knowing where to go, only able to trust whoever comes along. There were parts where some things didn’t make sense, like how the wife did not inform her husband about her pregnancy and how her eldest daughter’s toothache was treated by a doctor (not dentist) when she did not have the money. It left me wondering if she “sold” her body in exchange for the treatment. I was also quite impressed with Ong (John Arcilla)’s role. The scenes with him around felt so right, yet so wrong. He was like a genie answering Oscar’s prayers (I guess I will skip fairy godmother and God), too good to be true. Together with the uneven pacing, the superb cinematography made me felt as if I’m on a roller coaster ride together with the characters. The events that took place and the bits and pieces of information provided will somehow overwhelm you before you even have time to wonder what happened. 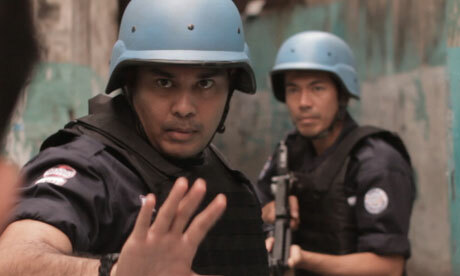 Metro Manila won the Audience award for best World Dramatic Competition film at Sundance 2013. With that lasting sensation it gave me when the film ended, Metro Manila certainly deserves the award. – The Brighton-born director relocated to the Philippines to shoot this character-based thriller in a country he had only visited once, in a language he didn’t understand (Tagalog). Check out Metro Manila Official Facebook Page! 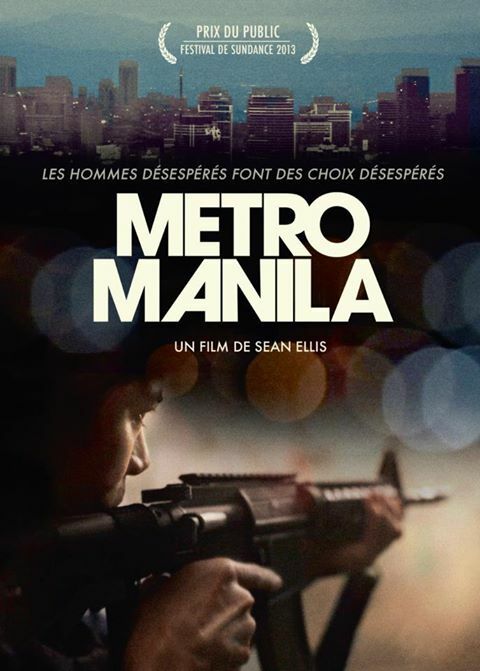 Metro Manila will be in cinemas on 26 September 2013.
yes, I will send you several links to various sites I googled that purportedly allow you to stream this movie for free , I presume? will try to get back to you first week in october??? ?jw, san francisco,2014……? yes, I was wondering in your capacity as a reviewer, if you could rehash the last 20 minutes of the film,which seemed to be the final ending which wraps up the whole previous hour & a half of the movie, in a breakneck tale of twisting plot intricacies? ( I only wish that i was fluent in tagalog), ..to begin, how did the wife get the clay impression of the key to the lockbox treasure, if her husband was killed in the building by the owner’s goons, after breaking into the cabinet where all the security lockbox keys were stored?So I impute that was the real key, & so the Key#837 which was found on his dead body, was obviously to throw the owner off the scent, is that correct? Understanding the last 20 minutes is obviously critical, if you are to come away from this movie fully satisfied!!!!! Hi Jeffrey, I caught this movie last year and it has been some time away, which means I don’t really remember the exact scenes. But I vaguely recall that husband DID use a key to mislead the others. If you do have a copy of the film, I will be glad to watch and let you know!